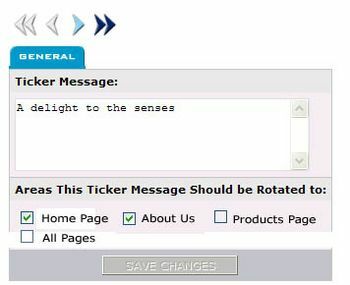 You can assign a particular message to one or more pages on your site. The tool allows you to create messages such as taglines and slogans, that can be randomly displayed throughout your site. You can assign specific messages to certain pages on your site to customize the information by page.